With hundreds of varieties planted in all corners of the globe, that being said, you’ll likely encounter only a handful of these grapes most often utilized for the best traditional wines. In our traditional wine section, you will find the most commonly found wines. 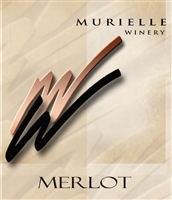 However at Murielle Winery our traditional wines are made in small batches with special attention to flavor and aromas. Here is a list of traditional wines for those not wanting the sweeter varieties.